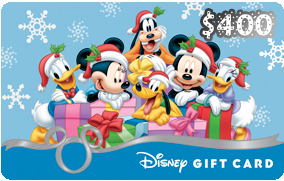 Enter to Win a $400 Disney Gift Card! 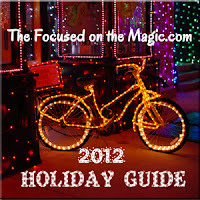 | Focused on the Magic : Enter to Win a $400 Disney Gift Card! We are super excited to be a part of a great group of Disney sites who have teamed up to give one lucky winner a $400 Disney Gift Card! Wouldn't that be a nice holiday gift? The contest starts now and runs until December 8th, 2012. Start entering today to maximize your chances of winning. One lucky person will be notified Monday morning via email that they won. You have 12 hrs to respond or a new winner will be chosen. To enter the giveaway you need to go HERE at Chip and Co. Be sure to follow the Rafflecopter prompts carefully. You don't want to miss your chance to win.! The more you share the more entries you will receive. So, what would you do with the gift card if you won? I would love to know, why don’t you tell me in the comments below? Then go enter to win the contest. Family dreams would come true with a trip to see Mater & Friends at California Adventure if we are the lucky winners! I would pay for part of my trip...most likely dining! That would definitely help our Disney Fund! I would use it to pay for my husband and daughter's first trip. I would use it to put a payment for our 15th anniversary trip next October!